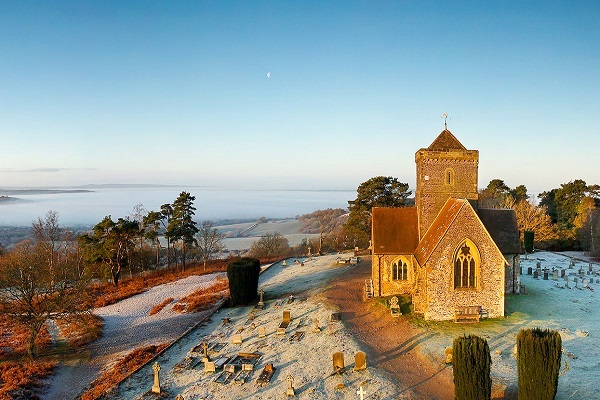 The beautiful village of Abinger Hammer lies in the heart of the Surrey Hills Area of Outstanding Natural Beauty (AONB). 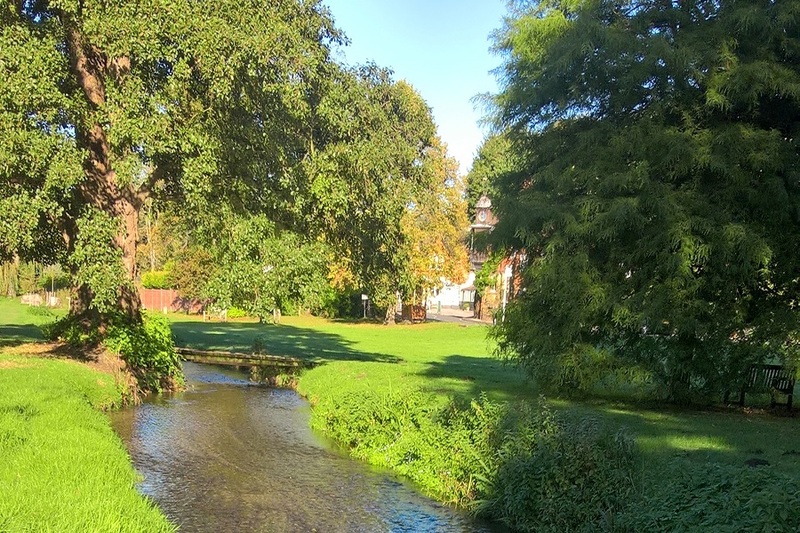 The River Tillingbourne flows through the village and you’ll often see brown trout swimming in the stream, which is their natural habitat. 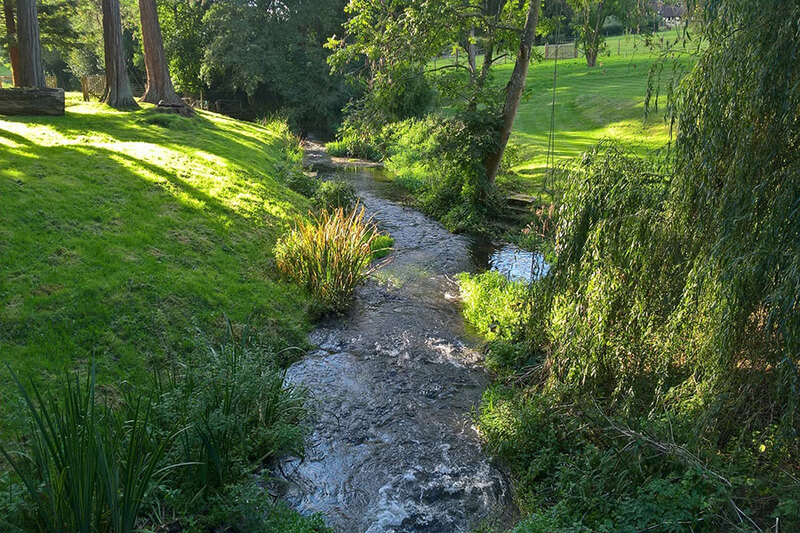 The River Tillingbourne was impounded in the 16th century into a hammer pond, providing water power for Abinger Hammer Mill, also called Abinger Forge, the Hammer forge or Shere forge. 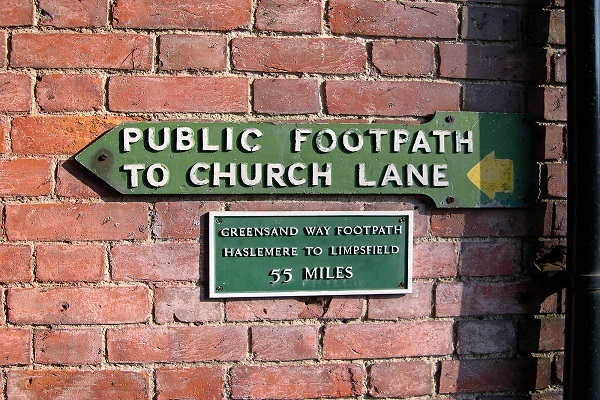 The Hammer mill boomed during the 16th century and the forge was reputed to have even made guns for use against the Spanish Armada. The clock which overhangs the main road portrays the figure of “Jack the Blacksmith”, who strikes the hour with his hammer. The clock bears the motto “By me you know how fast to go”. 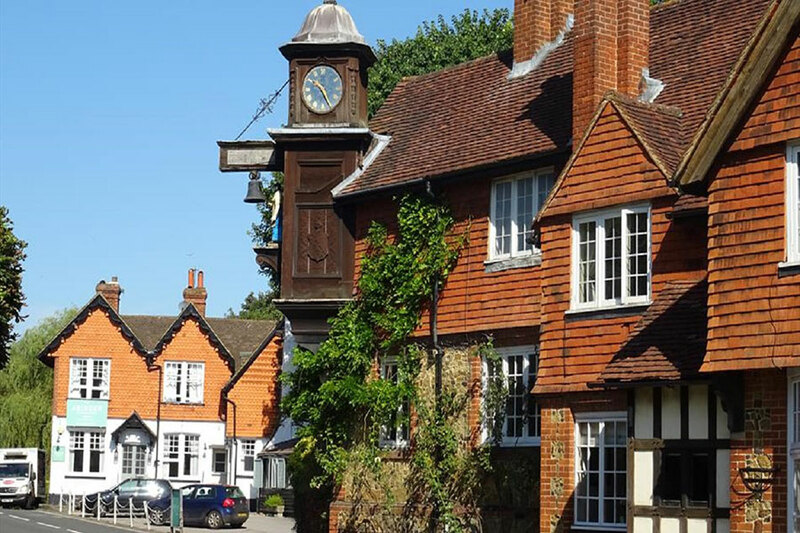 The clock was given in memory of the first Lord Farrer of Abinger Hall who died in 1899. The clock represents the iron industry and the role played by the county of Surrey in the industrial past.